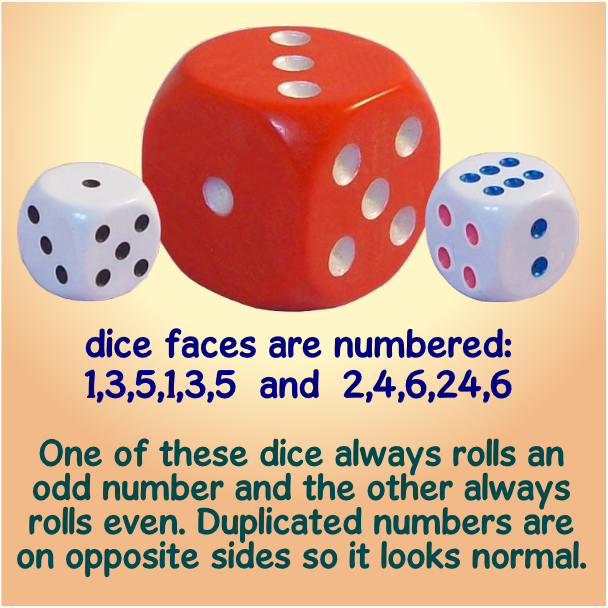 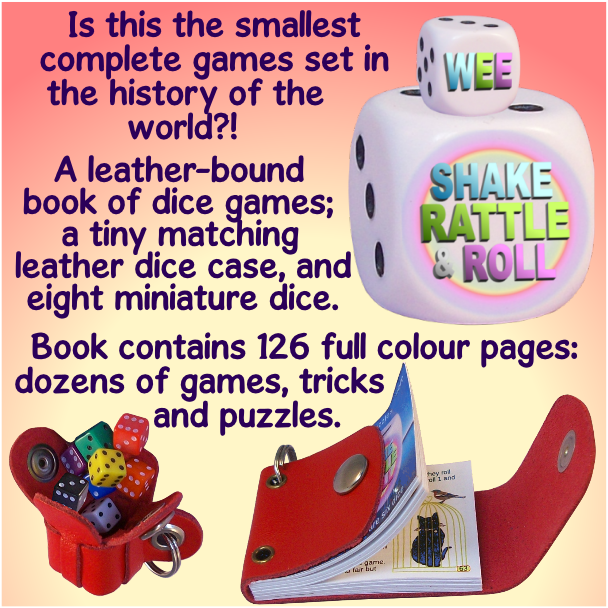 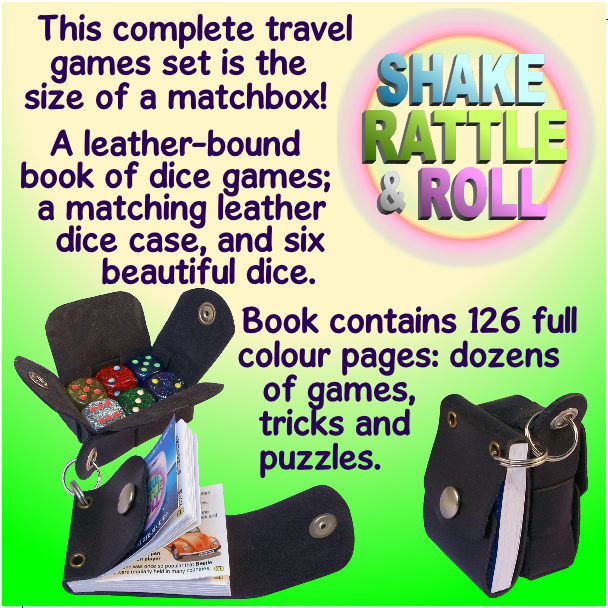 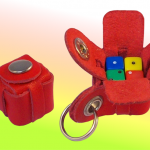 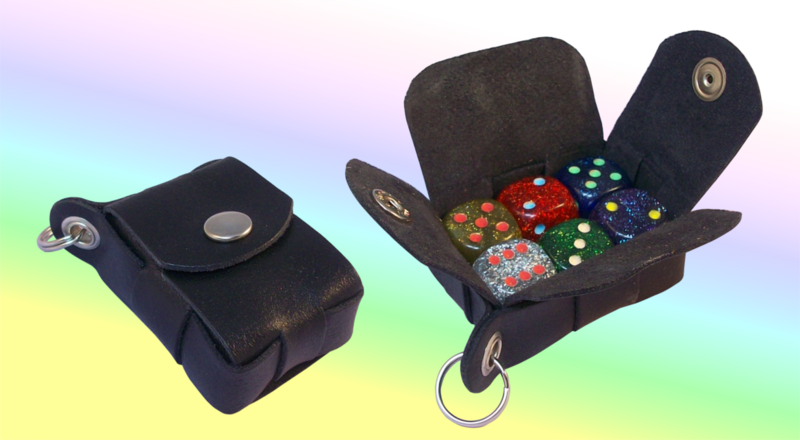 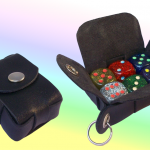 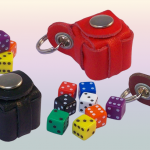 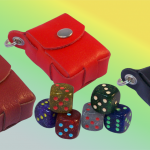 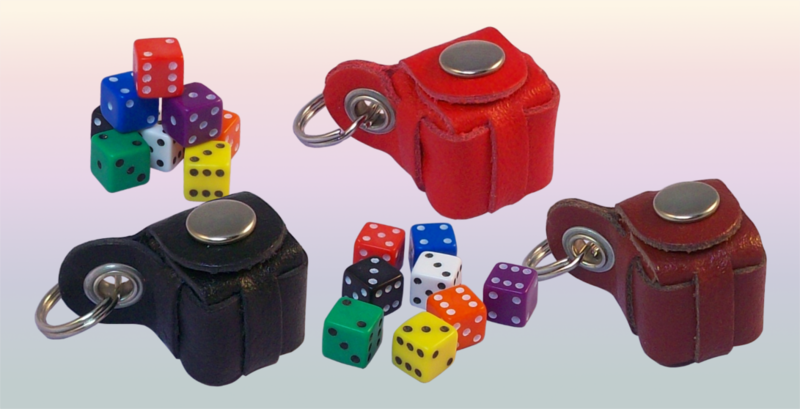 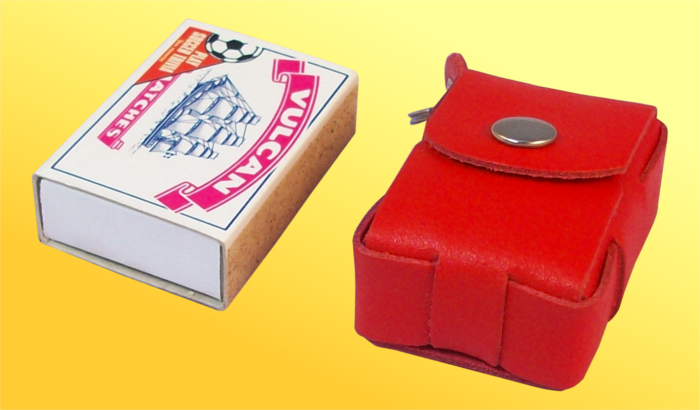 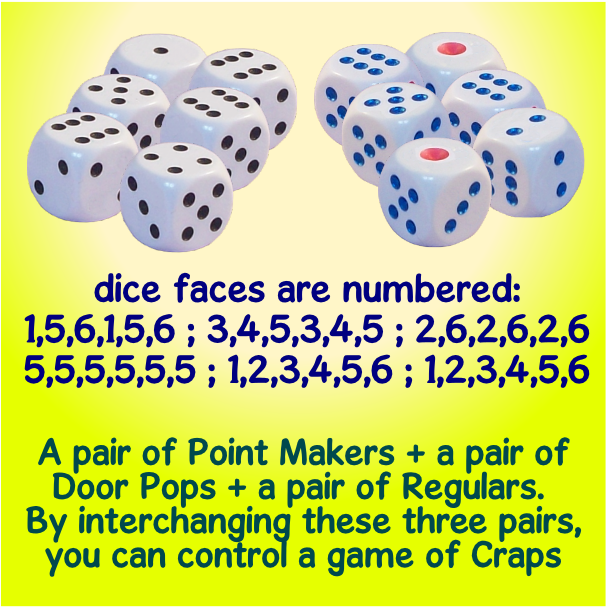 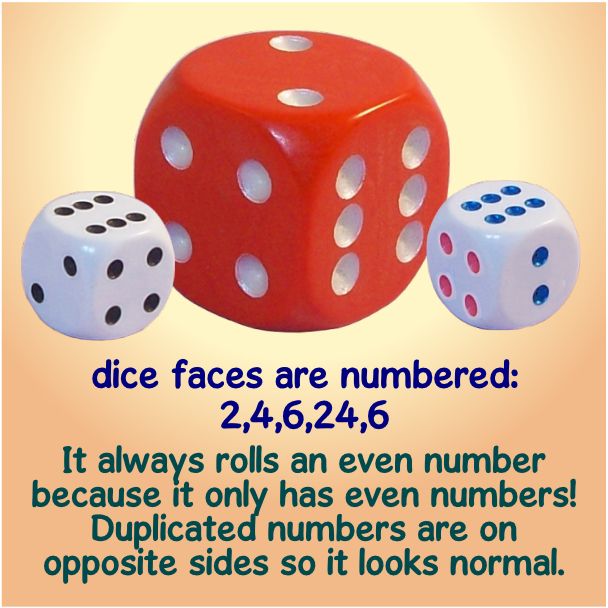 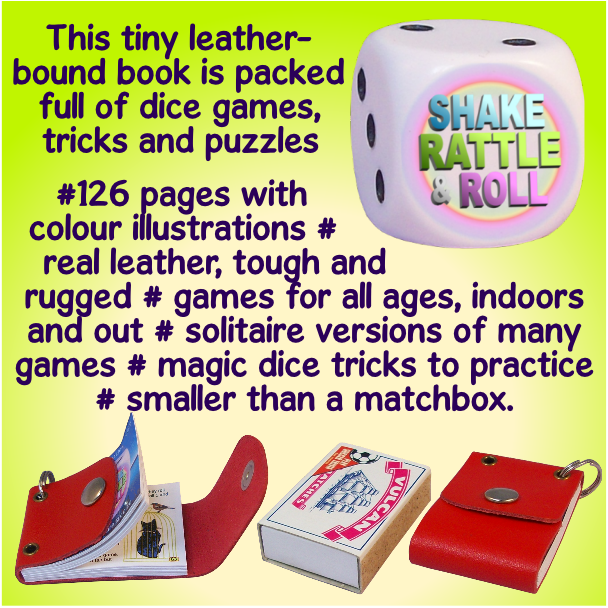 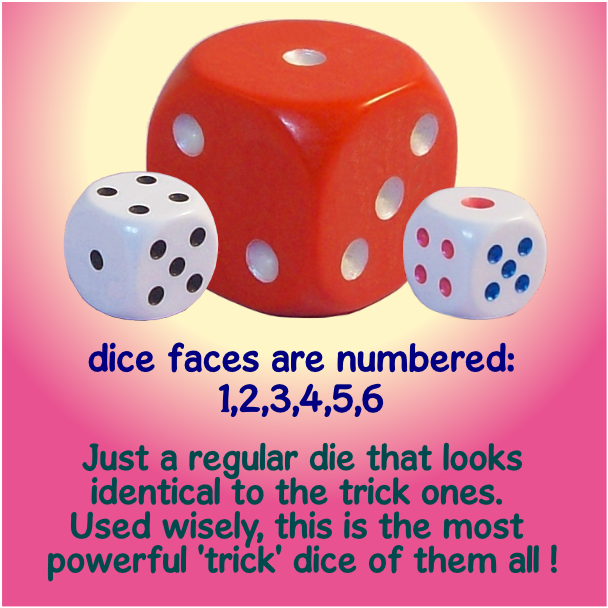 The hand made leather dice cases have been made to our own original design. 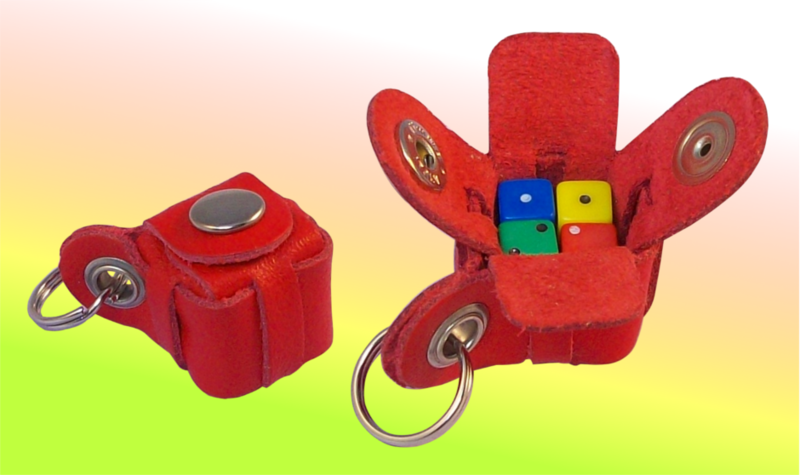 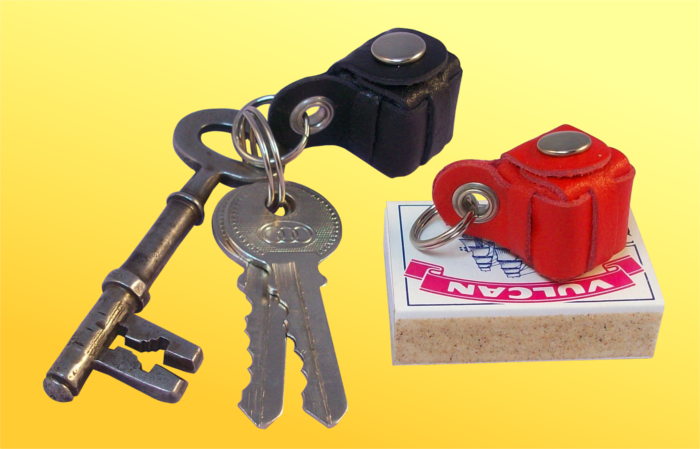 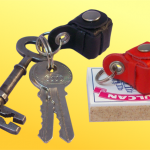 The case closes with a press-stud fastener and incorporates an eyelet and split ring for attachment to a belt loop, keyring, rucksack, etc. 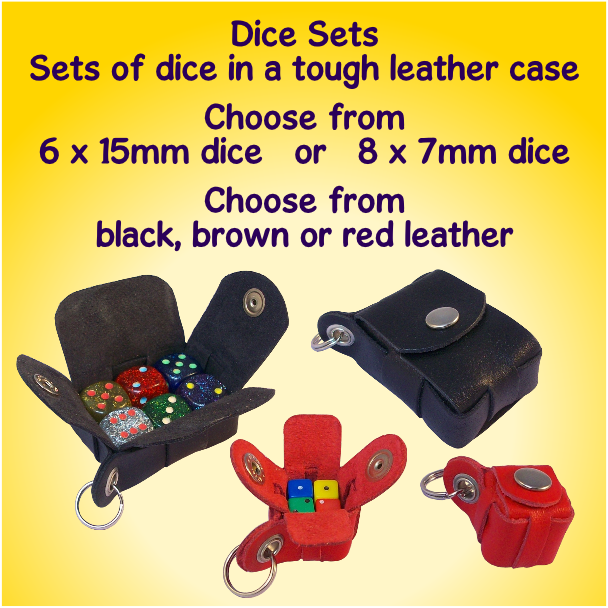 Choose from two leather colours: black or brown. 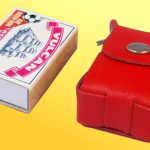 (Sorry, red no longer available).